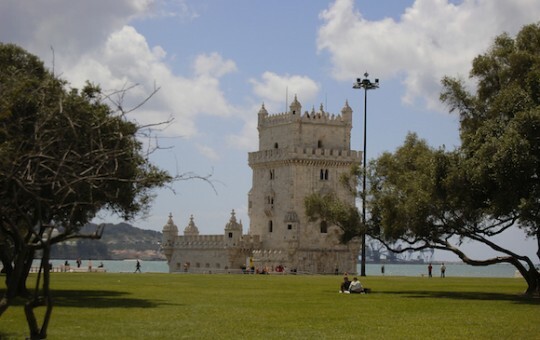 Many of the tourists who visit Lisbon for the first time instantly fall in love with the city. There isn’t just one particular thing that makes it so special. Instead, the combination of the city itself, the people who live there, the gorgeous food, the history, and the beaches make it an unforgettable place to visit. With a multitude of convenient places to stay, you won’t have to go far to see some of the best attractions the city has to offer. Lisbon has many beautiful parks, but this is one of the best. You won’t believe it’s in the middle of the city. The ten-acre space is the ideal place to relax amongst the exotic plants. This historic attraction is sometimes crowded, but it is certainly worth visiting because some areas date as far back as the 2nd century. The old-fashioned tram network that goes around the city is a great way to get from place to place. You’ll feel like you’ve gone back in time as you sit back and enjoy the journey. The Elevador de Santa Justa goes from the Barrio Alto part of town to the top, providing spectacular views and a delicious restaurant where you can grab a bite to eat. If you want to explore the cultural side of Lisbon, spend some time at the Berardo Museum. It has more than 1,000 pieces from artists including Picasso, Duchamp, Pollock and Warhol.